I really like the simplicity of an A-Muse stamp and this one is no exception! After coloring with my Copics, I did a shadow effect all around the image with C opic Wheat. The dimensionals were used to make the stamped image pop. 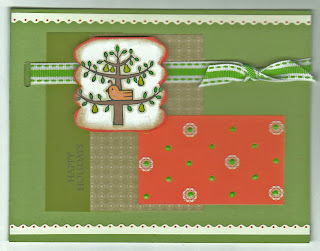 I used Fabric Applique in green to accent the dots on the decorative paper.